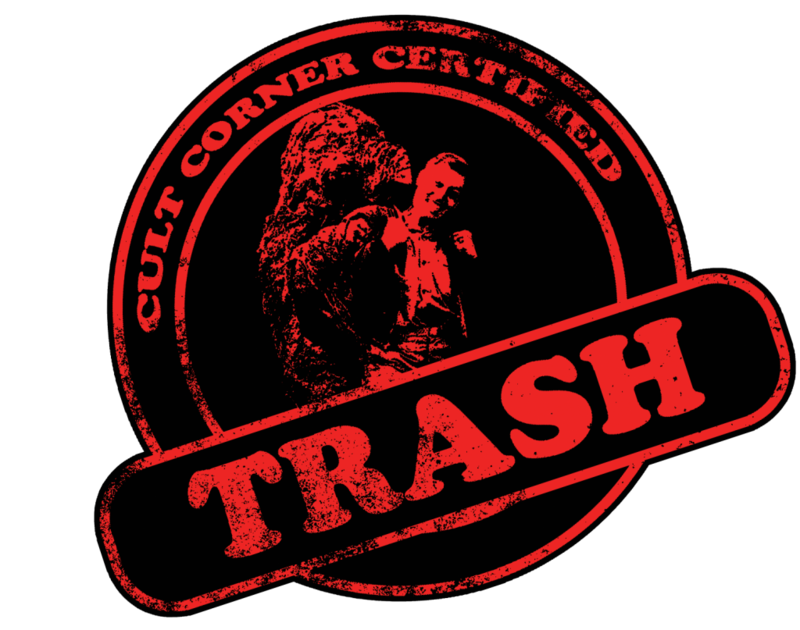 Welcome to Cult Corner where we dive through the bargain bins to determine if a movie is trash or treasure. Today’s pick… Christopher Abram’s By the Devil’s Hands: the 666 Killer. Jamie shows up late to work, which is bad timing. Her boss Kevin has her up for a promotion, but his boss isn’t quite sold on that yet. Meanwhile her workplace rival is trying to move in on her accounts, going behind her back and taking files from her. Jamie is having bad dreams and everyone around her is worried that she may not be up to the task and able to handle the new responsibilities associated with this job. This is the basic plot of the movie. Now HARSH CUT to a girl being tortured in a basement every 10 minutes or so. This is By the Devil’s Hands: the 666 Killer. The acting here is serviceable, but inconsistent. Susana Gibb is perfectly acceptable as the lead, never being particularly great, but never being particularly awful either. She’s likable and sells the madness that she’s going through well enough. Arianne Martin likewise does well as the conniving workplace rival. It’s a pretty one-note character (as are they all), but she works with what she’s given as well as possible. The rest of the cast wavers from fine to poor, but for a movie that looks like it was filmed with a shoe box (don’t even ask me how that works), this is to be expected. There’s nothing incredibly detrimental here, even if it’s all on the lower half of the quality spectrum. What really hurts this movie is the tonal whiplash I got from cutting between some pretty dry and normal workplace drama to some incredibly gritty and mean-spirited torture and murder sequences. I’m not really a fan of torture for the sake of torture anyway, but just randomly cutting to it every 10 minutes made it stick out like a sore thumb. These scenes only work if they do something more. If we know and like the character it can be tense. If they’re setting up a mystery or revealing more about the killer it can be intriguing. These scenes do none of that. They don’t further the plot, they’re not scary, they’re not intense, they have no purpose in this movie, and even the death scenes are cop outs. I get the feeling the torture was included because they knew that the office drama wasn’t all that interesting, and adding some random blood might spice things up. Unfortunately, the office stuff had way more potential if they had gone all the way with it instead of relying on cheap splatter. Throughout all of the back and forth with her bosses, Jamie’s bad dreams are getting worse and worse. Not only that, but she’s beginning to hallucinate as well. This is the main thing that is affecting her performance at work, and if they had leaned on these hallucinations and her descent into madness a bit more then this could have been much more fascinating. Because of the constant cuts to the random torture, there’s never even the slightest of question as to whether what’s going on is real or not. It’s a huge missed opportunity. On top of all of these tonal and scripting issues, there’s also all of the marks of a low budget horror movie present and accounted for. The audio quality is terrible, the music is repetitive, and it just generally sounds bad. The lighting is murky, the film quality is grainy, and the cinematography is boring. Hell, there are even times where the shot composition is just flat out bad, including a ton of extra space behind characters heads and things like that. During the torture scenes the camera work becomes handheld, which is a fairly obvious choice and is annoying as it always is. By the Devil’s Hands: the 666 Killer is just bad. It’s low budget, so I can excuse the acting and technical issues. That stuff is par for the course. But the narrative just lacks anything interesting or any reason to keep watching. The torture is unpleasant and completely random, having little to no bearing on the plot. I get it. The killer is out there. Show it to us once and we’ll get the point. We don’t need to see it six times. This one to skip. Previous ArticleAnnabelle 2 Conjures an Up-and-Coming DirectorNext ArticleNew Children of the Corn Film Being Developed in Total Secrecy?! Review: Twin Peaks: The Return Scores a Perfect 10!